The installation of Eliq Online is very simple and takes only a few minutes. 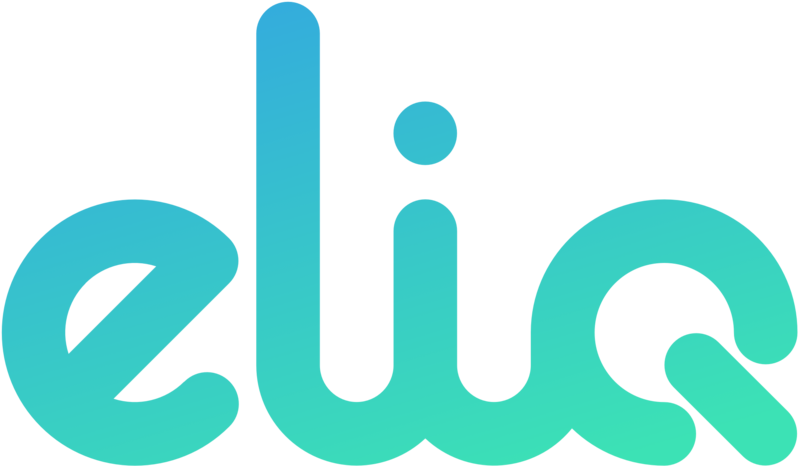 Here you will find information on how to install and use Eliq Online. If your Eliq Online does not appear to work properly, check operation status. Here you will find the current operation status of Eliq Online. 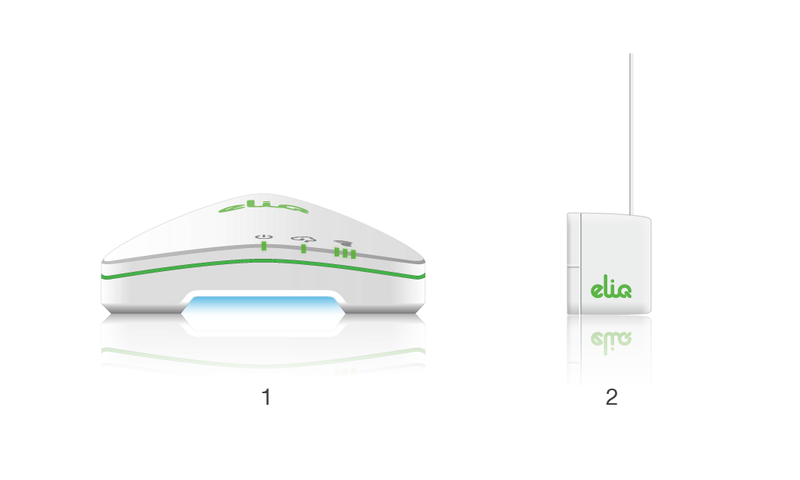 Does Eliq work with my electricity meter? Eliq products work with all electricity meters in Sweden. My electricity meter has no flashing diode (lamp). All electricity meters in Sweden should have a flashing diode that can be used by Eliq to read electricity consumption. In some cases this diode is an infrared (IR) type and the light cannot be seen with the eye. Go through our electricity meter list in order to find out where the diode is located. My electricity meter has two diodes (lights) that flash, which should I choose? You should select the diode with a text next to it saying "XXXX imp / kWh" where XXXX is usually 800, 1000 or 10 000. Search your electricity meter in our list for instructions on which one to use. There is no pulse rate on my electricity meter, what is my pulse rate? The most common is a pulse rate of 1000 or 10 000 (imp / kWh) which is usually marked next to the flashing lamp on which the transmitter is to be mounted. Do not confuse imp / kWh with imp / kVarh, that's the number that stands next to imp / kWh. Occasionally there is an electrical pulse output labeled "S0" often 500 imp / kWh and this is also not correct. If you are unsure, it is always best to search your electricity meter in our list. How long does the transmitter battery last? The battery lasts for about 1 year. What happens when the battery in the transmitter begins to end? You will get informed about that on your portal. Purchase a new battery (CR2032) in time. How long is the transmitter's antenna available? Approximately 10-20 meters indoors or 100 meters in the open view - it varies depending on the thickness and materials of the walls and floors. I need a little more than 20 meters range, what should I do? First of all, the range is up to 100 meters in the open-air view, so in many cases the signal reaches more than 20 meters. Contact our support if you are unsure, so maybe we can offer any special solution. I need significantly longer range, what should I do? In order to further extend the range, we also offer Eliq Repeater that passes the signal, increases the range by 10-20 meters (indoor) or even 100 meters (at no charge). Contact us if you want information about Eliq Repeater. In which intervals does the sender send data? Data is sent every 15 seconds. If the transmitter is subject to interference or if the range is on the limit, single messages may disappear. This does not affect the accuracy of the measured energy consumption. What is the mobile app called? We have an app for both "iOS" and "Android" called Eliq. The app gives you a quick and easy overview of your power consumption. For example, if you use an iPad, you can save a bookmark of the site on your home screen so it becomes like a web app. Keep in mind that you must allow cookies in that case. Can you have two senders to the same account? Yes, if you have more transmitters installed within the scope of your energy hub, you can enable more transmitters under "Settings" and "My Devices" on your Eliq Online account. There you choose "Add sender" and fill in the details for your extra transmitter. The different transmitters will then appear very smoothly under different tabs in your account. Each hub can receive signals from up to ten transmitters. Can I use my existing Eliq Energy Display Transmitter? Yes, just enter your existing sender ID I the settings. The easiest way to find your ID number is to enter the Eliq Display and select Settings / Communication / Transmitter to find your sender ID. Can I use the Eliq Online Transmitter for my Eliq Energy Display? Yes, it works perfectly. You just have to be sure to enter only the last 5 digits of the sender ID number as ID number. Note. If your transmitter is this type, the display must be updated. To do this, follow the steps in the manual. Where can I find more information about how the system works? Check out our technical specifications which you find here.